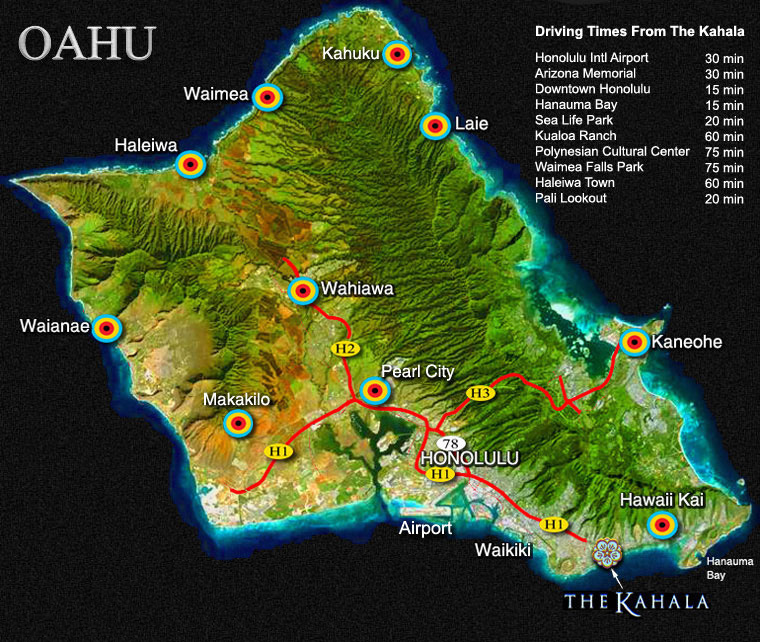 This map will help you get your bearings while you are on the island. All tours start in the lobby of The Kahala Resort and Hotel. To find out more about our different journeys, go to the Tours page.